Back2Basics, LLC is working with UpCity during March and April to help raise awareness and funds to support local area communities in need and we’re calling on all of our valued clients; past and present to participate in the project! As a valued customer, we’d love to get your feedback. Back2Basics, LLC is featured on UpCity as one of the top agencies in the area and we want users to know what it’s like to work with us! 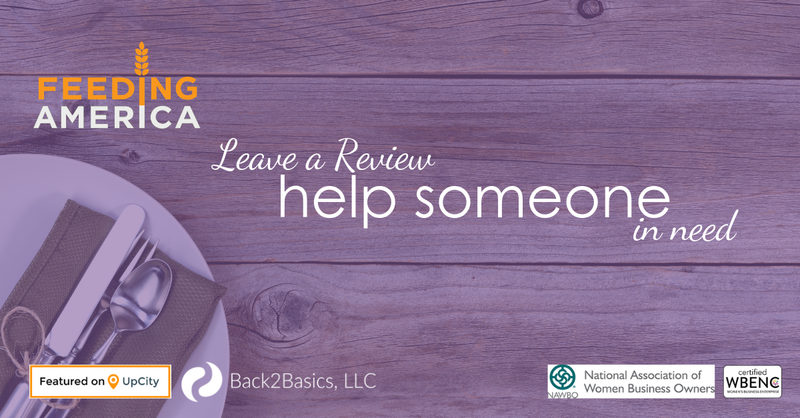 UpCity is donating $10 to charity for every new review we receive through April 30th as part of their Reviews for a Cause campaign. 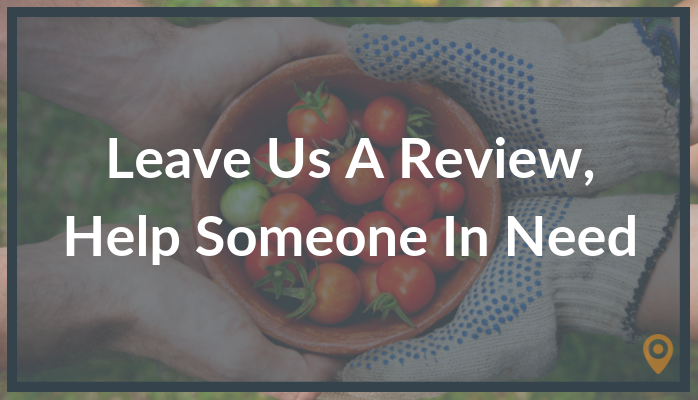 Your time spent reviewing our business will benefit Feeding America. Just $1 can help to provide 10 meals through their network of local food banks. NOTE: UpCity will not USE or RESELL your information for any marketing purpose. Your contact information and social authentication is PURELY for the purpose of authenticating true and accurate reviews.